City manager Wally Bobkiewicz speaks at a meeting. Aldermen will discuss an updated budget proposal at the Nov. 12 City Council meeting. A two percent property tax hike and no general wage increases for city employees are both items on an updated budget proposal that aldermen will discuss at Monday’s City Council meeting. The revised budget — which follows about a month of deliberation among residents, aldermen and city officials — addresses many of the qualms that were raised about the first draft. Originally, the budget proposal included a number of cuts across city departments, which have been altered in the second version. The proposed closure of Evanston Fire Department Station 4, located in the 2nd Ward, is now off the table. Aldermen, residents and firefighters had raised concerns about the possible closure, city increased response times across the city as a possible effect. Evanston Fire Chief Brian Scott previously told The Daily that the closure could have had a “cascade effect” across the city. The new budget proposal strikes the closure, and adds over $224,000 to the fire overtime budget and $20,000 in funding for a fire department cost study. At the Nov. 5 council meeting, Ald. Melissa Wynne (3rd) had suggested exploring whether the department’s deployment model could be altered to adjust staffing levels throughout the day to tailor them to times where there is a higher call volume. In addition to nixing the station closure, aldermen previously voted to have the city continue to operate the Gibbs-Morrison Cultural Center, a community center located in the 5th Ward. The other significant set of revisions concerns the Department of Health and Human Services. Initially, the budget proposal set out to cut $250,000 from the city’s Mental Health Board, and remove the communicable disease specialist from the department. However, Illinois state law requires the position to be filled for the department to be recognized and receive federal and state funding. Health care providers, staff and aldermen have spoken out against the proposed cut, and at an Oct. 27 City Council meeting, city manager Wally Bobkiewicz also urged aldermen to vote against the original draft proposal. In the revised budget proposal, the Mental Health Board cuts have been reduced to $150,000, and the communicable disease specialist will no longer be cut. The proposed 2 percent property tax levy would garner the city $820,000, according to city documents. 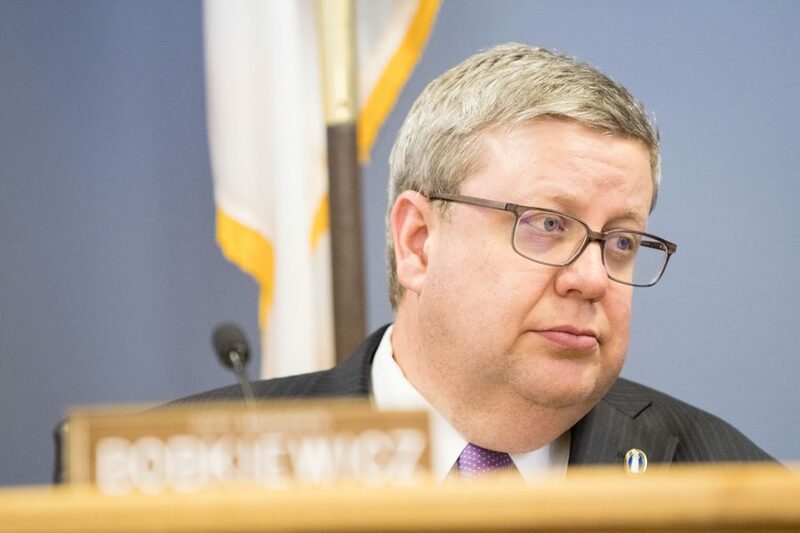 The property tax increase goes against Bobkiewicz’s initial promise that the budget would not raise taxes following last year’s $14.5 million Evanston/Skokie School District 65 referendum, which raised property taxes across Evanston. Following the referendum, many residents expressed concerns with a possible rate increase. Aldermen are set to continue discussions of the budget at the Nov. 12 City Council meeting.